No, not the biggest deal ever. 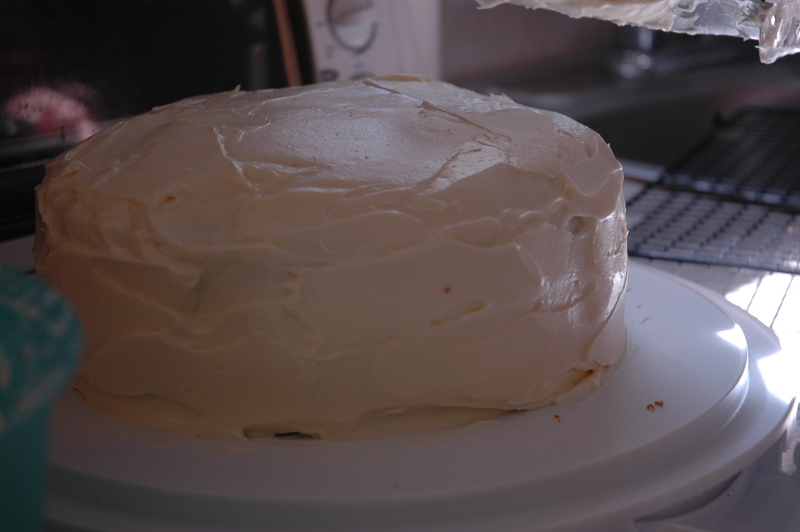 But still…as my first attempt at making a layer cake instead of a sheet cake, I’d say I did alright. And now, to frost. I shall give you a moment by moment rendition. 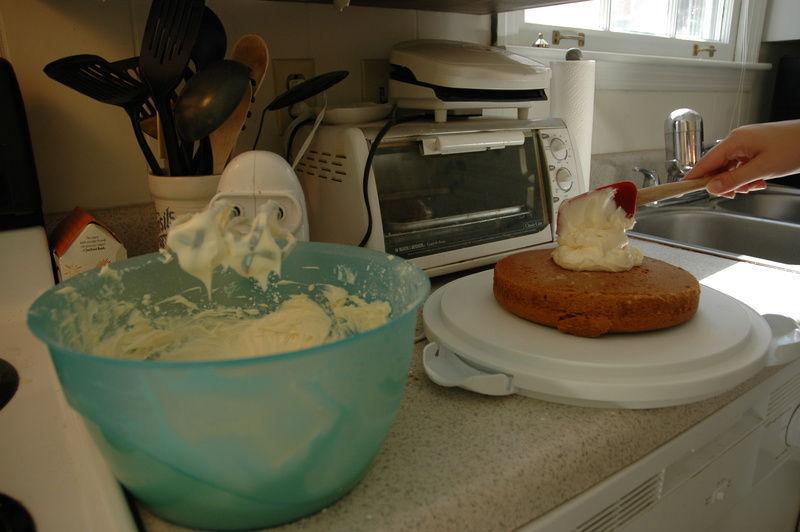 Simply combine 1 boxed spice cake mix, 1 can of pumpkin, 3 eggs, 1/3 cup applesauce, and 1/3 cup water. Bake according to the box directions. 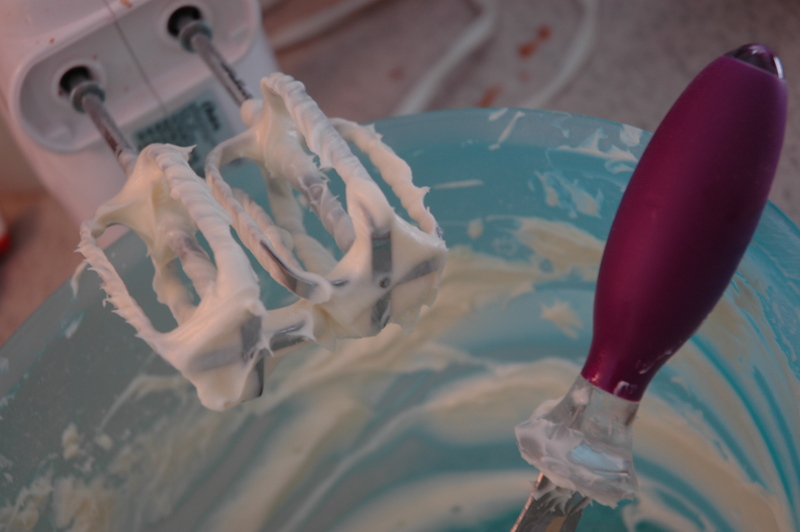 In a mixer, combine 2 sticks of butter and 16 oz of cream cheese (all at room temperature). Mix in 2 teaspoons of vanilla. Slowly add about 4 cups of powdered sugar, until you’ve reached the desired consistency and taste. I’m actually kind of surprised that I’ve tried something cooking-wise before you have! 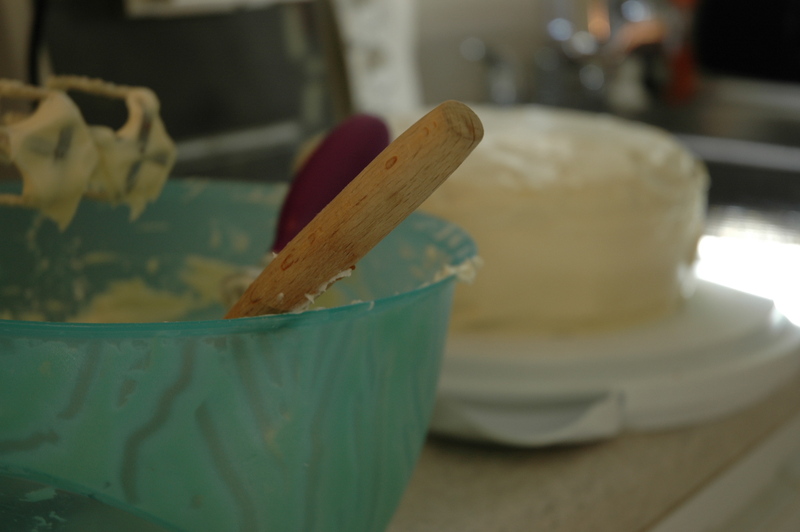 One thing that I have a tough time with on layer cakes is keeping the bottom layers flat… do you have any suggestions? 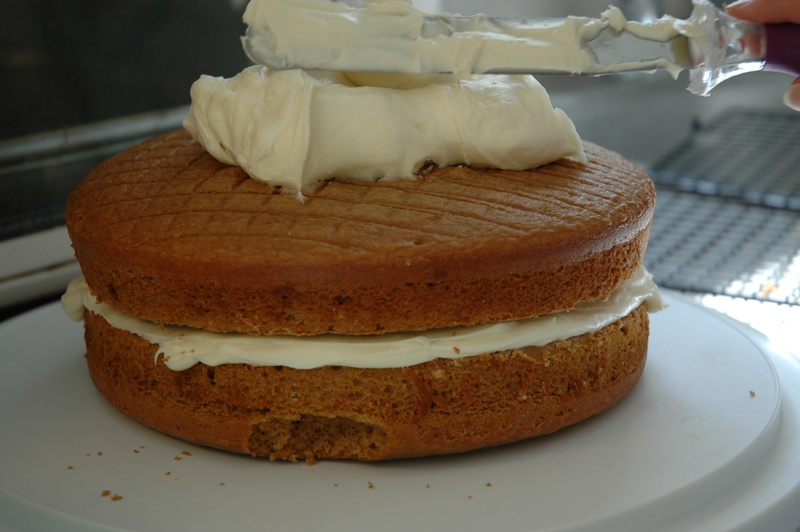 i made a monster 3-layer cake once and the top layer split because the middles are puffy and the edges are thinner, which compounds with each layer. Two tricks. One is to turn your bottom layer upside down. That way, you are actually frosting the flat bottom instead of the rounded top. 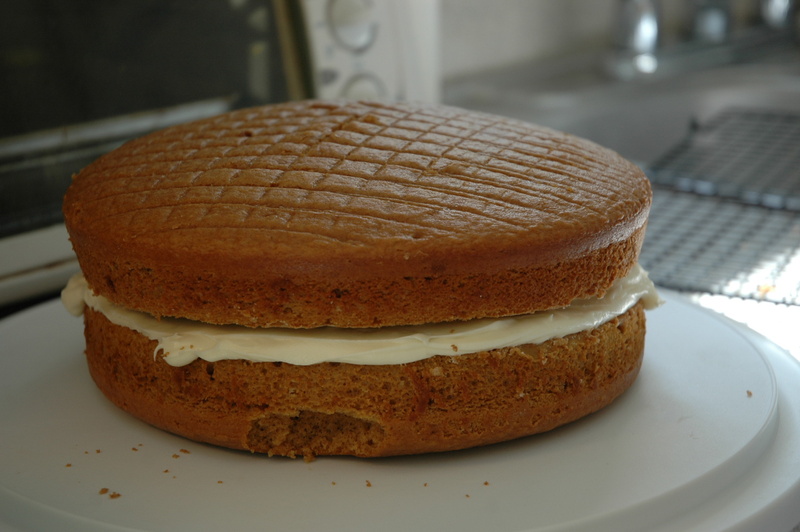 Second, if you are making a bigger cake than this, most people slice off the top of the cake so that it is flat. Plus, you have extra pieces of cake to nibble on 🙂 Let me know how it goes!